MP4 is becoming more and more popular for storing digital audio and digital video streams, especially those defined by MPEG. Various multimedia devices like iPhone, iPad, PS3, PS4, TV etc. well supports the MP4 format. And you may have got many MP4 files on your computer and want to play MP4 in Windows Media Player. However, you are only to find that MP4 files are not played with Windows Media Player by default. From some forums, we found many users are asking “Can Windows Media Player play MP4 files”? “Why my Windows Media Player won’t play MP4 files”? “What should I do in order to open and play MP4 files in Windows Media Player”? Why Can’t Play MP4 on Windows Media Player? You have probably tried this at some time. But strangely, some MP4 files work and some just don’t seem to be playable on the WMP. Your guesses are right! It’s refusing to play an MP4 file because of the unsupported codec. An MP4 is only a container. Different MP4 files tends to contain different video and audio codecs. The MP4 files with unsupported codec certainly can’t be played on Windows Media Player. * Windows Media Player 11/10/9/XP/7 all don’t support MP4 format. * Windows Media Player 12 only supports MP4 Video file (.mp4, .m4v, .mp4v, .3g2, .3gp2, .3gp, .3gpp) and MP4 Audio file (.m4a). The solution for you is to find a third-party tool to make everything easy. Pavtube Video Converter is one of the options. It’s good because you can use it as a video converter to first turn all kinds of MP4 files with any codecs to Windows Media Player supported video format without quality loss. Furthermore, Pavtube MP4 to Windows Media Player Converter does support converting nearly all video formats like MOV, WTV, MKV, FLV, 3GP, WebM, MXF , RMVB, etc to WMP compatible formats to play MOV, WTV, MKV, FLV, 3GP, etc in Windows Media Player. ✔ Convert MP4 to AVI, MP4 to MKV, MP4 to H.265, MP4 to Apple ProRes, MP4 to MPEG-2 etc. After downloading the MP4 to WMP converter. Now learn the guide how to re-encode MP4 to Windows Media Player in detail. Run the best MP4 to Windows Media Player Converter; click the “Add video” button to import the MP4 video to it. This ideal app also supports drag and drop function. Click the “Format” drop-down button to select WMP supported WMV, ASF as output profile from “Common Video” or “HD Video” Category. Hit the “Convert” button at the bottom right corner to start and finish encoding/re-encoding MP4 to Windows Media Player more supported format WMV, ASF. 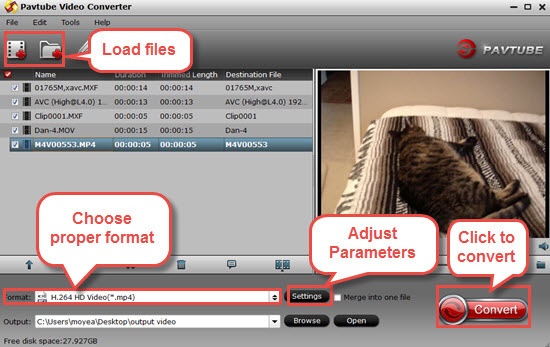 After the conversion, click the Open button to get the resulted video. 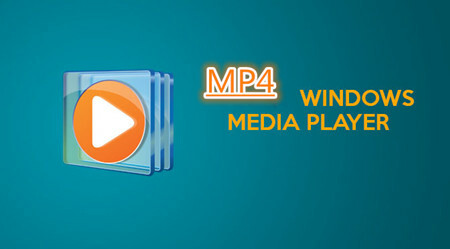 Now, you can successfully load and play MP4 in Windows Media Player (12/11/10/9/XP/7) without any issue. I downloaded a video of the MP4 format from keepvid and when it went to Windows Media Player it did not work since and could not play and I got a message saying that windows media player cannot play mp4 files. When I try to play MP4 in Windows Media Player, it won’t play my .mp4 files — no video, just sound, and Media Player will hang trying to exit. When try to add the MP4 to Windows Media Player for playing, the MP4 file type isn’t recognized by the Media Player and therefore isn’t added to the Media Library. Some of my MP4 video can play in WMP, while other of my MP4 won’t play in Windows Media Player 12. Conlusion: Two solutions for playing all MP4 on Windows Media Player are provided you now. We suggest you’d better choose the first one which has helped many MP4 to WMM playback issues. If you want the Mac version, please get Pavtube Video Converter for Mac. Have a try! How to rip Blu-ray to Windows Media Player? How to Upscale 1080P MP4 to 4K MP4 on Mac or Windows?